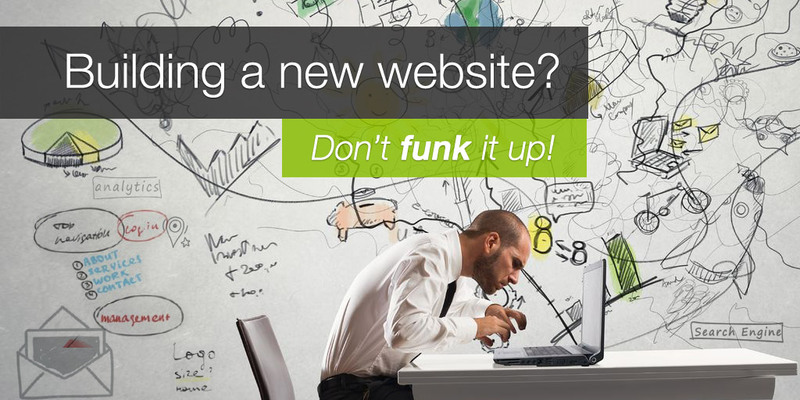 So you've decided it's time to invest in a new website for your rental properties, congrats! There are many options for website building and choosing to invest your time and money into updating your online presence is a great first step. While many companies are excited to present themselves in a new way to their online and mobile prospects, the final result can sometimes be disappointing. Why? Because companies often make critical, but easy-to-avoid mistakes within the build process. The very first mistake is easily the one that gets made the most. While your website should work for you and your staff, it's often forgotten that the reason why you're putting a website together in the first place, is to attract online prospects and generate quality leads. While you might have an idea of what your website should look like and how it should function, keep in mind you need to think like a prospect, not a property manager or company executive. A little research goes a long way. Find out what your target demographic wants and needs are, and build from there. Can you think of anyone today who doesn't have a mobile phone? People aren't waiting until they get home to jump on their laptop. They are pulling up your website on their phone while they're walking around the city, riding the bus, or waiting in line for a coffee. It's essential to have a mobile friendly website, but it's surprising how many websites still don't offer a pleasant mobile or tablet user experience. We all know how annoying it is, to have to pinch and zoom to use a website on your phone. It's a great way to turn away a prospective tenant. LWS did an aggregate analysis of all client rental websites on September 1st, 2016 and it showed an average of 39.4% of all traffic to the websites originated from a smartphone. Just 3 years ago, the average was 14%. 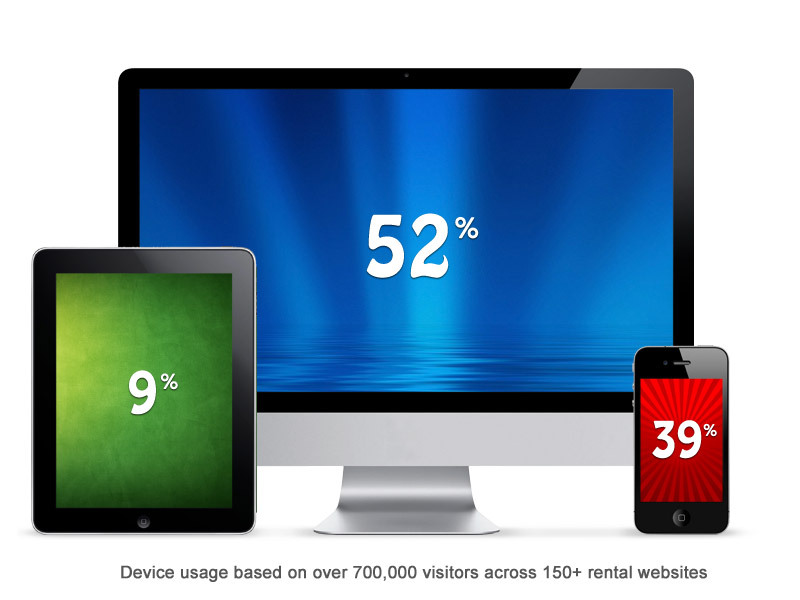 The combination of mobile phone & tablet use now account for 48% of all website traffic. That's nearly half ! Needless to say, that average is only going to increase over time, so you'd be wise to ensure your website accommodates those users. It's nice to stand out and be original, but unique is not necessarily better. People have become accustomed to browsing websites in a certain way. A logo is found on the left or centered on the page; website navigation is found at the top of the page or along the left side on older websites; the mobile navigation button is found in the top right corner; the 'contact us' link is almost always last in the navigation. If you deviate too far from what people are used to, they'll become confused, frustrated, and will likely leave your site. Keep it simple and familiar. Where you can be unique is through your quality content. Typically people choose this direction because they believe it will be cheaper and easier to work with someone they know. This may not be the case when you consider they're doing it for you "on the side". What kind of time commitment are you going to get? What happens when they get full time job, take a vacation, or aren't answering your emails? Trying to get updates done in a timely fashion, or recovering passwords that only they have can become infuriating! A one-man-show leaves your business at risk. It's best to go with a reliable team of professionals with experience in your industry. Within 2.5 seconds, a renter has formed their first impression of your website and made the decision to move forward and explore more, or jump to the next site. What's going to keep them on your website? Great content and visuals! Prospects want to see what your rental properties look like and what features they include. Great content converts. Poor quality content and photos will not generate leads for you, no matter how well your website is built. People want to see quality photos and be able to imagine themselves living there. My colleague Robyn wrote a great article on how bad photos are deterring your renters. 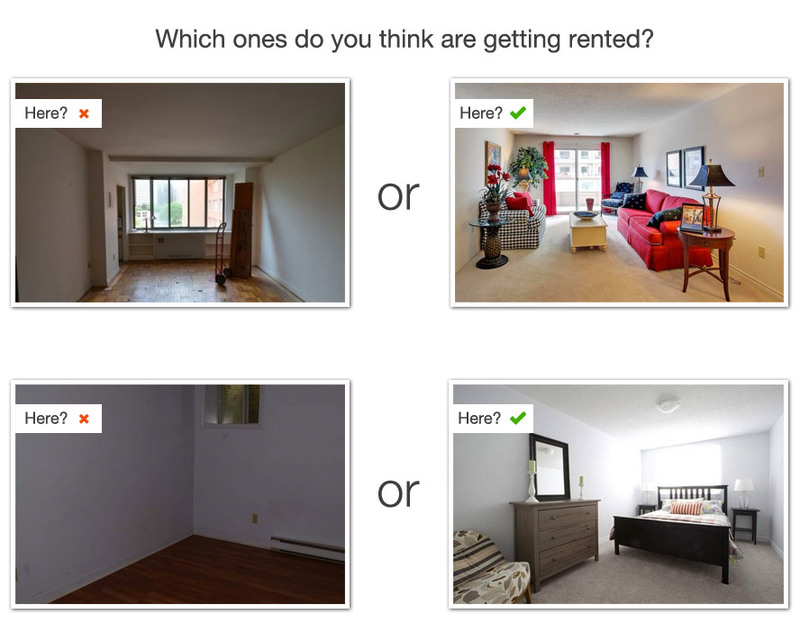 Typically renters are coming to your website for one reason - to find out more information about your properties for rent and to make an inquiry about renting. By not having a clear Call to Action, you're leaving them guessing on next steps and will likely lose them. On the other hand, having too many action buttons on your webpage can be problematic, as it will confuse users and potentially lead them away from your ultimate goal… generating a lead. Try to use descriptive action words and avoid the generic CLICK HERE link. A common misconception is to put everything on your homepage above the fold, thinking that users won't scroll to see your content. Having a call to action above the fold is important, but not all content needs to be there. The habitual use of Facebook, Twitter, Pinterest and other social media sites have trained people to scroll, especially while using their mobile devices. 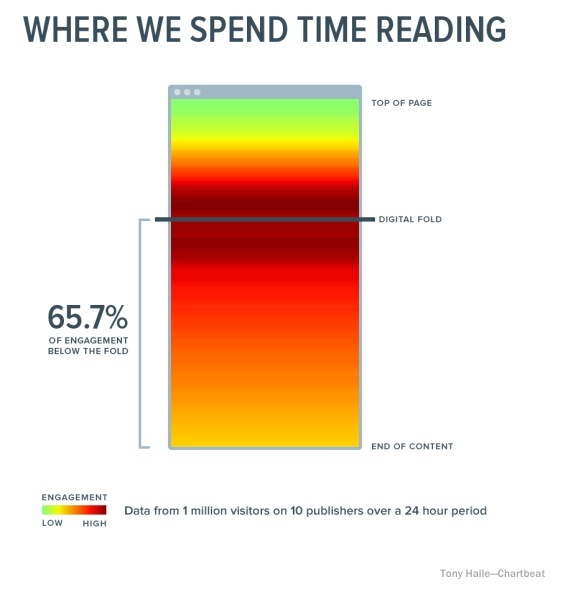 Studies have shown that 65% of engagement is below the fold. Instead of overloading users with content above the fold- add content that intrigues them and persuades them to continue scrolling on your site. AODA is the Accessibility for Ontarians with Disabilities Act. In a nutshell: It's about making apps and websites that are inclusive to all users, regardless of the device or browser they use or their physical or mental capabilities. The penalties for not making your website accessible are quite hefty, so it's worth putting this on your "must have" list for your website. Learn more about AODA. At the end of the day, your website is the digital face of your brand. It should be welcoming, easy to navigate and informative. While there are a lot of things to consider when building or rebuilding a website, it doesn't have to be difficult or overwhelming. Keep the process as simple as possible by choosing a website development company with the knowledge and experience in your industry. A professional website that avoids these 8 mistakes, will leave you feeling confident in your ability to increase your number of quality leads and effectively communicate your brand messaging.